Come to the Patricia Region of Northwest Ontario and enjoy the Fishing, Boating, Hunting, 4 Wheeling, Canoeing, Camping, Golfing, Shopping, Hiking or Loafing, Swimming, Water sports, Ice Fishing and Snowmobiling. Come and discover northern nature in our lakes, streams and woodlands. Smell the fragrance of the pine and cedar, and the fresh clean air. Find information on all kinds of accommodations and facilities here in the Pat Map for hunting, fishing, and vacationing to make your visit a great success. If you are looking for a concise connection to Canadian hunting or fishing lodges, fishing camps, cabins, fly in outposts, resorts, RV parks, camping, motels or bed & breakfasts? You have come to the right place! Canada's Heartland has over 300 places for you to stay. Accessing information on our outfitters and comparision of all your various fishing or hunting vacation options is easy using the Patricia Regional Tourist Council's searchable site. To narrow down your quest for the ultimate Canada fishing vacation enter in your service selections below for the type of vacation you want to experience and we'll make some suggestions as to which establishments may best accommodate your needs. Remember each additional service selection you make narrows the field of results. For example if you are searching for either a Housekeeping Lodge or an American Plan Lodge do the searches separately. A joint search will return only lodges that offer both packages. 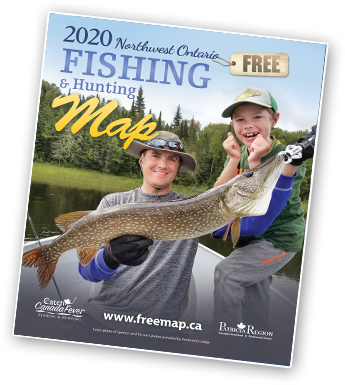 It is not necessary to specify that you want information on Canadian fishing trips as all our establishments offer or have ready access to fishing. Also remember to read our trip planning guide for planning your fishing trip and hunting trip to Canada Lodges and Resorts. Jump directly to their website to findout more about their fishing & hunting packages, discounts, make reservation and so much more.